This article was orginially posted on the NY Times, and has been republished here with permission from the author. In June, Saudi Arabia — along with two other Persian Gulf states and Egypt — picked a fight with Qatar, on the grounds that the country is funding Islamic terrorism. The move was almost satirical, given that Saudi Arabia itself has long funded the spread of fundamentalist Salafi Islam, which is often associated with extremism. However, this diplomatic spat seems to be more than just an example of Saudi Arabia’s pot calling Qatar’s kettle black. Saudi leaders could be using the conflict, which has resulted in a blockade of Qatar, as a strategic smoke screen to deflect attention from the simmering tension inside their own insular borders. Emotions are high following the violent protests in Charlottesville. An innocent life was lost when an individual affiliated with the neo-Nazi movement killed Heather Heyer. Neo-Nazis and white supremacists are deceitfully pretending to be the voice for white America. But these fringe extremists are in reality a symbol of weakness and hatred. Like many barriers in the workplace, the glass ceiling is one that has always been in corporate existence. While 21st century women have really proved their ability and demanded equality, a stereotype still remains for those who have exceeded through levels of management or are in the process of currently doing so. In 2017, there was a hyper focus on women in the workplace as March was “Honoring Trailblazing Women in Labor and Business”. WWSG is proud to represent a few who have really made their mark in their business societies. From secretaries to CEOs and minority students to organization Presidents, Founders, and CEOs, some of WWSG’s exclusive speakers can shed light over their experiences and inspire everyone following in their steps. Take a look at some of the most influential women who have shattered their own glass ceilings. On Thursday, Januray 19th, I walked out of the White House for the last time, for at least the foreseeable future. The walls in my office have been bare all week and boxes have been stacked with notes from colleagues, books and photos from the ten years I have worked for Barack Obama. As I was driving my car out of the gate, it hit me that for the first time, in a long time, I am not officially a part of something bigger than myself. 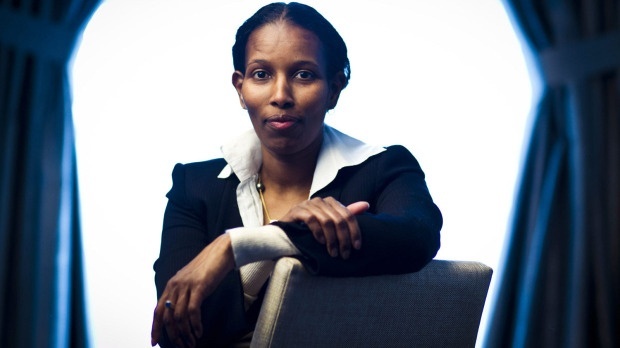 The mission to end violence against girls is an ongoing campaign for Ayaan Hirsi Ali and the AHA Foundation. This organization was founded by Hirsi Ali and aims to end honor violence that shames, hurts, or kills millions of women across the globe. The AHA Foundation is working to elevate the status of women globally by supporting women’s education initiatives and building campaigns that help create safer spaces in which women can work and live. Notable accomplishments are made even more impressive when you consider the barriers an individual overcomes in the pursuit of their goal. This holds true with the first woman Asian American member of a president's Cabinet.